This was my second year attending WOWSF so I had a fair idea of what to expect (You can read about my 2015 visit here). The event was held on a Saturday afternoon and the BART (San Francisco’s version of a train system…) was not functioning between 2 key stops. This caused long delays but I was in high spirits (sorry for the pun). Unlike Whiskies of the World – San Pedro Square Market there was only 1 session that went from 6pm to 9pm, but if you were lucky you could get a VIP ticket that let you in at 5pm with access to some exclusive whiskies. The difference in price is $140 vs $160, so it’s well worth it if you can get your hands on a ticket (they sell out quickly). I was fortunate enough to get a VIP ticket this year and the difference between a 3 hour tasting session and a 4 hour tasting session is quite substantial, especially since the first hour is not crowded. 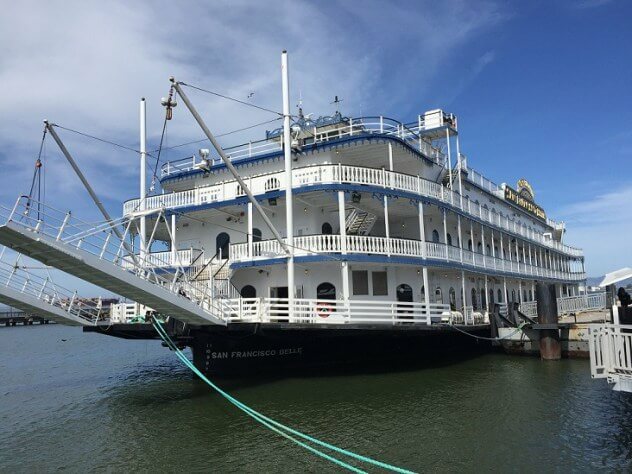 WOWSF was once again held on the San Francisco Belle; a paddlewheeler that in a previous life served as a floating casino in Missouri. The Belle remains docked for the entire event but it’s still a nice feeling to be drinking whisky on such a classic boat…. once you get used to the waves. I didn’t get to see the size of the queue this year because I was busy helping run a nosing event as part of WOWSF that started at 4pm (more on that in another article), but I can imagine it was long. WOWSF is spread over 3 floors on the boat (the bottom floor is dining) and has over 300 whiskies available, so it feels like a much bigger event than WOWSPSM. All of the whiskies available at WOWSPSM were available at WOWSF (from what I saw), but there were of course many additional options. 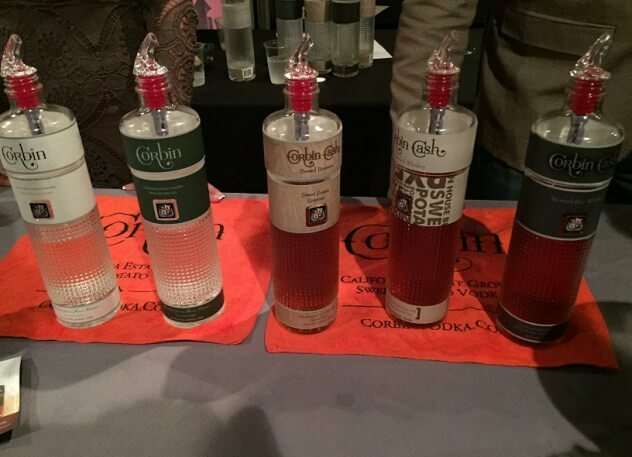 If you’re not afraid of crowds, I suggest attending Whiskies of the World – San Francisco. Another big benefit of WOWSF is the view. Being able to walk around the deck of a nice open-air boat is very enjoyable. I already included Glencadam in my SPSM article, but it was so good that I went back. Twice. Another distillery that I absolutely love. For me these are some of the best whiskies Speyside has to offer and this batch (wish I took down the batch number) of A’bunadh was great. Rich sherry but very complex. 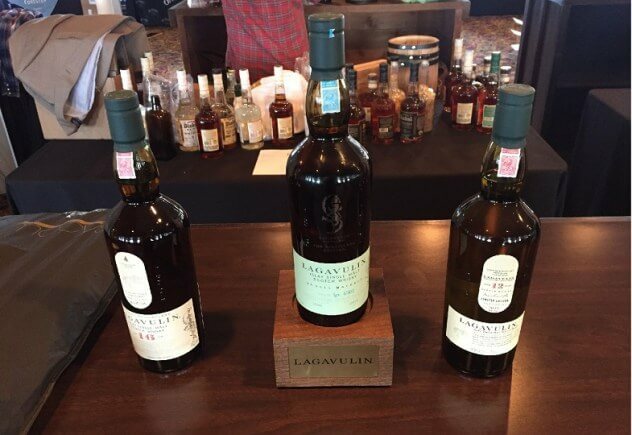 My regular readers will know that I have a soft spot for Lagavulin (if you don’t believe me read my review of the 16 year old), so I would never say no to stopping by. I had my fingers crossed that I could try the 200th anniversary 8 Year Old, but unfortunately not. Nevertheless I still got to compare the 12 Year Old, 16 Year Old and Distillers Edition side by side. That’s always a fun experience for me. As I’ve mentioned many times, I’m trying to get more familiar with US whiskies. I’d already had the Woodford Reserve Rye and I quite enjoyed it, so I wanted to sample their Bourbons. Both were very enjoyable. I’ll be on the lookout for a bottle. Irish whisky has never been my go-to but Redbreast did impressive across the board. The 21 Year Old was sensational. Like every whisky blogger in the world, I really respect Compass Box. I also really like their whisky, so for me it’s an obvious stop when you see the Compass Box logo at these events. I even struggle to pick my favourite. I am a huge fan of Balvenie. I am quite familiar with the selection offered, but I’ll never say no to the Doublewood. The Caribbean Cask is also a very interesting whisky. You can read my previous review here. I have to say, I’ve never tried sweet potato whisky before. It is very interesting. I’m not completely sold on it yet, but I plan to get a hold of some more before I pass judgement. Definitely worth a try at the minimum. These guys are exactly what US whisky should be. Creative, experimental and completely unique. Whether you love or hate the, they’re definitely unique. I mentioned these guys in my WOWSPSM article, but I had to mention them again here. Alexander Murray were my standout exhibitor of the show. Every whisky in their range that I tried was great. I really want to get my hands on some of their whiskies for a more detailed review. There were many other standouts but there are too many to list. I always enjoy attending whisky events, but there’s something about Whiskies of the World – San Francisco that I particularly enjoy. Maybe it’s the atmosphere on the boat… whatever the reason is, I plan to attend WOWSF each year while I live in the SF Bay Area. There is no reason not to.